Best Folder Encryptor safely encrypts files and folder with various methods - Flash (instant), Hiding (instant and hiding), Full (all files in a folder separately), Diamond (strong and packing) and Portable (packing and portable). It has a friendly central management window and also supports direct use in Windows Explorer. It also protects data with enhanced features like folder disguise, disk protection, data lock, data shredding and more. ...... Hiding Encryption instantly encrypts a folder as fast but also hides it at the same time. Full Encryption encrypts all files in a folder in a time with internationally mature algorithm. Each encrypted file in this folder can be opened or decrypted separately later. Diamond Encryption packs and encrypts a folder into an encrypted file with very strong encryption algorithm. Portable Encryption packs and encrypts a folder into an executable (.exe file), which can be taken anywhere and decrypted by itself independently. Dialog Encryption and Portable Encrypted are supported when encrypting a standalone file. You can encrypt any file or folder you choose. Access your often-used folders quickier than ever! Add text tag to any folder. Freeware. Tray Folder is a launcher with plenty of useful extras. Active Folder is a simple utility that can save you loads of time. Quickly browse your folders, files and other shell objects. Qweas is providing links to Best Folder Encryptor 16.50 as a courtesy, and makes no representations regarding Best Folder Encryptor or any other applications or any information related thereto. Any questions, complaints or claims regarding this application Best Folder Encryptor 16.50 must be directed to the appropriate software vendor. 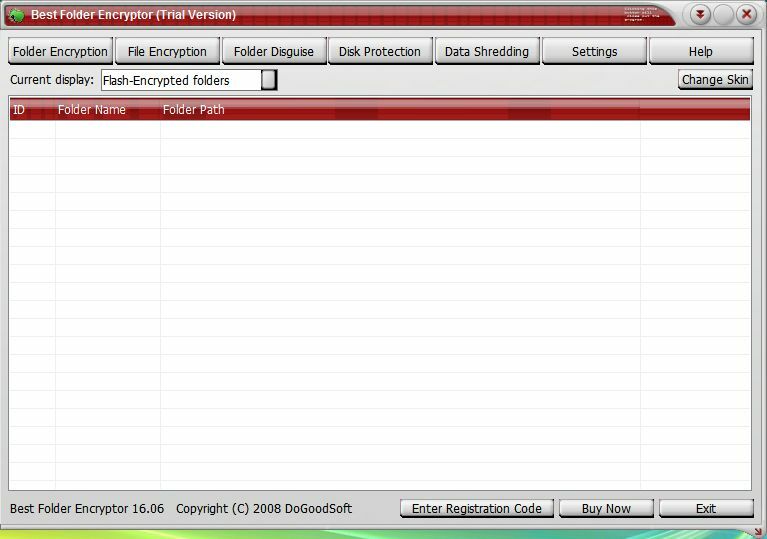 You may click the publisher link of Best Folder Encryptor on the top of this page to get more details about the vendor.